Board Index > General Chat > Anything Goes > How many 8-Tracks do you have..LOL ! 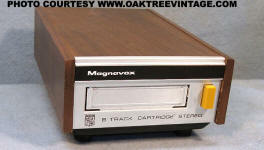 Author: Subject: How many 8-Tracks do you have..LOL ! I got this from Warren's Vinyl post. I have over 700 8-Tracks that have not been played in over 10 years. Their in fake alligator skin 8 track suitcases that I bought years ago. Each one holds 100. They are in the basement of my running buddy of 31 years house. We still talk on the phone. He's got his also. I keep telling him i'm gonna come get them...who knows. At least they are there if I want them. At one time I had over 1,000...I remember this dude at the Record Bar who looked like the Cowardly Lion from the wizard of Oz kept telling me, "Man, 8-Tracks are going to go out of style..buy cassettes". I ignored him until they did go out of style. Then I started on Cassettes. Got over a 1,000 of those. Still play a lot of them. Have an extra cassette player just in case. Still got a working 8 Track player also. That Record Bar dude had long blonde/redish hair...real long..and I swear he looked like the Cowardly Lion. We used to call him that..LOL ! yikes and I thought I was a pack rat. Have not had one or seen one in 27 Years.. They used to be the bomb didnt last long. I have three. Got rid of my player when I moved recently though. I can't trash them; two of them are Gregg & Duane. You know, one of them was the Bold Records one. One is called Gregg & Duane Allman; the other, Duane & Gregg Allman. They're my proof I'm a long-time fan. I still have a bunch kicking around but no player that works unfortunately. I had a player that recorded also when I was young which was pretty rare and hi-tech for the times. I have at least two tapes from the first time my friends and I took LSD and jammed. Should be quite interesting to hear again. All I remember is the wood panelling in my parents basement and how we saw all sorts of faces in the pattern. And that damn clock that kept growing. You can just imagine what the music must sound like. Remember when your 8 track player in your car or home would be wearing out you could stick a matchbook under the 8-track you were playing and the sound would get better. I had all the ABB up until "Brothers of the Road" on 8 Track. 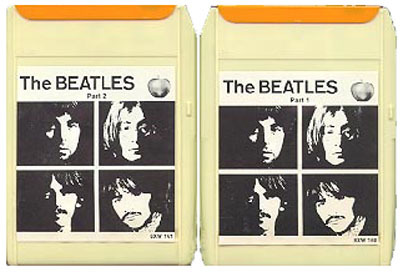 Remember those Bootleg 8 Tracks they had at gas stations..that were cheap. 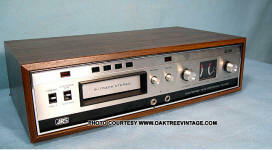 I had ABB Beginning's on one of those. The biggest problem when they get real old is the Silver tape that causes them to switch tracks will break. When I tried to play my old ones...the silver tape on a lot of them just came apart due to age. We used to fix them by splicing small pieces of Scotch Tape. The Band Lone Star (not the country band) that featured Paul Chapman(later of UFO) and John Sloman. I discovered(for my listening pleasure) them when I found their 2 8 Tracks on the side of the road. I spliced and fixed them. They went on to be one of my favorite bands. Have them on CD now. 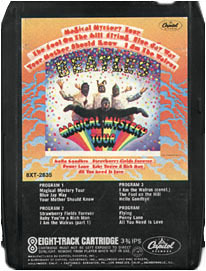 Remember how the 8 Track player would eat your 8 track and it would be all wound up inside your player. The tape would be playing and all of a sudden the player would start eating it, you would pull out the tape and it would be everywhere. 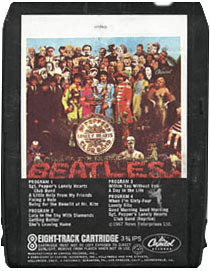 A friend of mine taught me how to completely unwind an 8 track and put it back together if it had been eaten. The heads of your 8 track player would get real dirty. I would use a old t-shirt..soak it in rubbing alcohol and clean the head. You could see the dirt. I also used a Q Tip. I got one something like this when I was a kid for Christmas. I got Sgt. Peppers, Rare Earth Ecology and the Best of the Guess Who...all had just came out. I thought I was cool as hell. This is sort of like the one I have that still works good. Just like the one I got for Christmas ! My uncles had them in their cars when I was a tot - I thought they were so cool! There was one 8 I had that refused to be eaten...It stands out for some reason..
"Paper money, paper money...Don't Hold"
The ZZ Top ones always sucked.. I'd have four, if I'd have known I could have fixed my Marie Osmond one with scotch tape. Yep, my Mom thought Donny Osmond had long hair. When I started with the Allman Bros, I never heard any more about long hair. Must have scared her. I too had to stuff all sorts of stuff in to get them to play right. Funny how we all got that perfected though. I have one , Robert Palmer " Secrets " , I bought it years ago and never opened it , cost me 50 cents or something ridiculous , thought it would be cool for a keepsake . I showed it to my boys they had never seen one . Me And my family have about 50 8 tracks which hav'nt been played in ages! Used to be pretty good with a pencil and scotch tape for road trip 8 track repairs on the fly.The old matchbook trick was good one too. 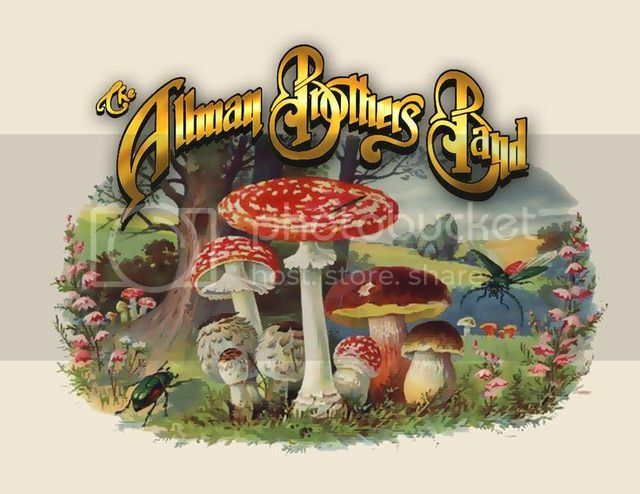 I have all the Allman Brothers original pre -1980 releases on 8 track. Even have Allman and Women. I need to dig those out and get a picture of them. I have one 8-track, The Johnny Van Zant Band: No More Dirty Deals. I paid a buck for it from a buddy at the flea market. It's in my armoire taking up space. Just an oddity to have around I guess. I remember in between songs you could hear the songs on the other tracks. I remember when we had an 8-track player, I used to listen to some 8-tracks, and I sort of remember hearing some songs on the other tracks. Uno. KOSSOFF, KIRKE, TETSU, RABBIT.